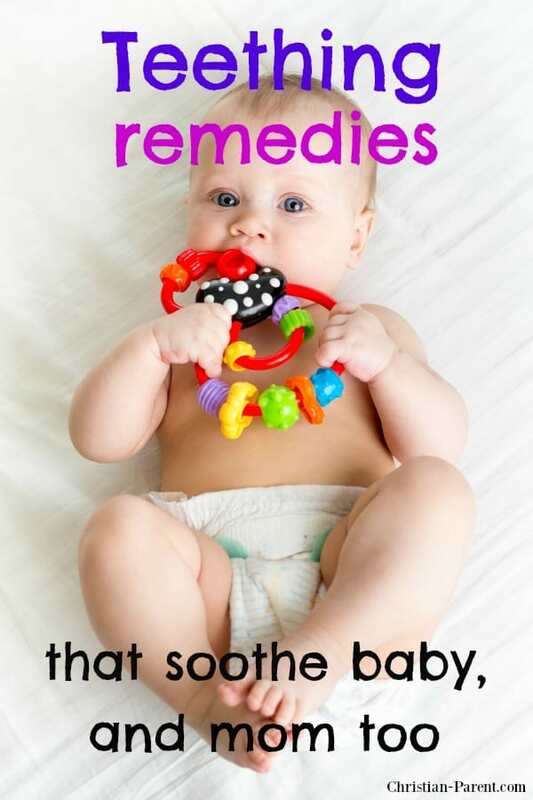 Teething Remedies that Soothe Baby, and Mom Too! August 19, 2018 0 comments on "Teething Remedies that Soothe Baby, and Mom Too!" Parents who eagerly wait for baby’s first tooth to show can suddenly find themselves eagerly searching for teething remedies instead. Teething is the first growth of a baby’s teeth. It generally occurs in babies between six and nine months of age. It’s an important part of growing from an infant into a toddler, but can be very painful for babies. Here are some common teething remedies that can help soothe baby and Mom too! 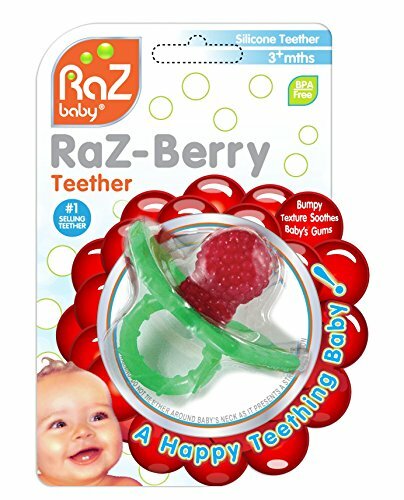 Rub baby’s gums with a clean finger or cool washcloth. At first, your baby might not be willing to let you do this, but they’ll soon realize that it feels good. Consulting an Orthodontist would also be great for you and your children as well, because the alignment of your teeth is aslo of great importance. Visit the above link to read all about when is the best time to consult an orthodontist. You also have access to a portion of the article where you can scroll through frequently asked questions. Some teething rings are made from firm rubber. Others are filled with water and can be chilled in the refrigerator before giving them to baby. 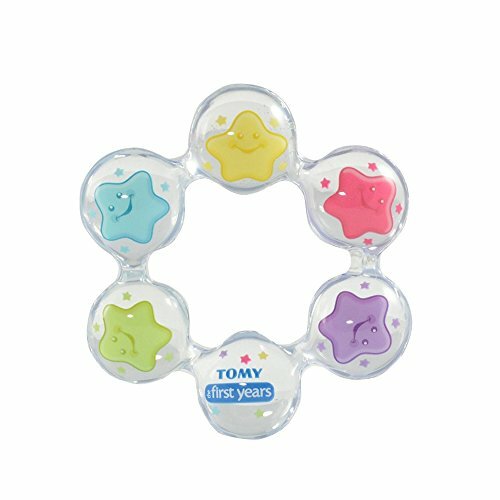 This teether also serves as a pacifier and is really popular on Amazon. If you’re concerned about your baby eating too much salt or sugar in regular teething biscuits, you can look for organic, whole grain teething biscuits instead. Try freezing juice into popsicles. They’ll provide baby with comfort and nutrition at the same time. Place a wet washcloth in a baggie and keep it in the freezer. When baby is teething, remove the washcloth and let them chew on it for quick relief. Some babies enjoy the feeling of a cold spoon in their mouths. Bend the handle of the spoon before giving it to baby, so they can’t hurt themselves with it. Let baby chew on a frozen banana. Supervise carefully to prevent baby from choking on a too-large piece of banana. Wrap a cold apple wedge in an infant–sized washcloth and give to your teething baby. The sweetness of the apple will encourage baby to bite down and work the teeth through. Cloves contain warming oils that can warm and numb pain. Rub clove oil on baby’s sore gums to relieve teething pain. Too much clove oil can upset baby’s stomach, so only use a tiny amount. You can try to keep baby’s mind of their pain by entertaining them with new toys or a change of scenery. If your baby is very cranky or has a fever, you may want to use acetaminophen, such as Children’s Tylenol. Consult with your doctor before doing so. Teething tablets and gels can provide quick relief for your baby, but they should only be given as a last resort, and only after consulting with your doctor. 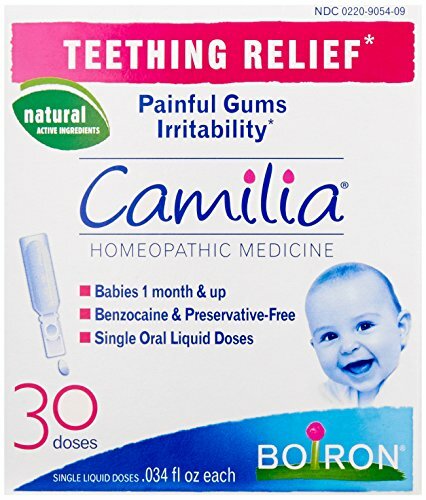 This homeopathic brand of teething tablets is popular with moms who shop on Amazon. Like this article? Learn the best tips for brushing baby’s teeth. Follow my babies board on Pinterest.